Princeton graduate student Hannah Zanowski was running an experiment that linked a rise in carbon dioxide in the atmosphere to the destruction of coral reefs in the ocean. A few yards away, three female FBI agents were discussing the science of evidence recovery, while chemist and “space geek” Lenore Rasmussen was describing her work creating synthetic muscle, work that is scheduled to continue at the International Space Station. These women were among 25 scientists from fields ranging from astrophysics to oceanography to biogeochemistry to robotics who participated in the Young Women’s Conference in Science, Technology, Engineering & Mathematics, or STEM, at Princeton University on Friday. An annual event, the conference tries to increase the number of women who pursue STEM careers by bringing female students in seventh to 10th grades to the science labs to hear and see what women can do. Despite gains in biology and medicine, women are still underrepresented in these scientific fields. Last year, a National Science Foundation report found women earn a small percentage of higher education degrees in science and engineering. Although participation has increased in the last two decades, only about 25 percent of the degrees in computer science and engineering awarded since 1991 have gone to women, the study found. It’s unclear why women opt out of these fields, although several of the presenters believe the lack of exposure to these careers is a big reason. Young girls have experience with doctors, for example. But they don’t know what astrophysicists or materials scientists actually do. The conference aims to fix that. Almost 400 young women from 46 schools in New Jersey, New York and Pennsylvania attended Friday’s event, which has doubled in size since the first conference in 2001. They heard lectures, toured the Frick Chemistry Building labs and participated in dozens of hands-on experiments and demonstrations that explored a broad range of scientific careers. A popular stop was the geosciences experiment that asked students to build structures to mimic photoplankton, microscopic plants that live in the ocean and must be “neutrally buoyant” to survive. The students created structures from pieces of foam, badminton birdies, beads and pipe cleaners, and tested their buoyancy in a tank of water. After testing their ideas and changing their designs, they dropped their creations into the race tank. Graduate students timed how long it took for the structures to sink, and the slowest won. Johanna Bernstein, program coordinator at the Rutgers Institute of Advanced Materials, Devices and Nanotechnology, was using photographs and models to show how material scientists determined if a 9-foot artifact could be displaced in a vertical position. She said programs like this one are important. “Despite advances in science in the lower levels, in K through 12, it’s not transferring,” Bernstein said. Bernstein said she remembers being surrounded by men in college and graduate school and often feeling like she didn’t belong. Showing students successful women in jobs they don’t know exist can only help raise their numbers. “This shows science is everywhere, and hopefully it will inspire somebody,” she said. “I want to be like (Temperance Brennan)” she said, referring to the crime-solving character. Betty Czelen, one of a group of eighth-graders from Lawrence Middle School in Lawrenceville, was intrigued by Rasmussen’s development of synthetic muscle. “It’s really inspiring to see people who have taken the steps to be scientists, to be different,” added classmate Clara Love. Rasmussen, the founder of her own business, RasLabs, said she didn’t fit in in school until she got to Virginia Tech in the 1980s and discovered her love of chemistry. I grew up not far away from Clinton’s Folly, otherwise known as the Erie Canal. Completed in 1825, the canal was enlarged twice before the turn of the 20th century to provide access to larger ships and barges. Today, the canal is part of the New York State Canal System and is popular with recreational boaters. While I was most fascinated as a kid by the abandoned sections of the Erie Canal that were in short driving distance from our house, today I know that canals are not just a historical curiosity; modern canals play a vital role as shortcuts in shipping. Some that are particularly important are the St. Lawrence Seaway, the Chesapeake and Delaware Canal, the Kiel Canal, the Suez Canal, and the Panama Canal. Ships have been an efficient mode of transporting cargo for thousands of years. For ships that navigated on rivers, geology has often presented obstacles. The ships had to go where the rivers went. The first person to change this was Emperor Yang of China, during the Sui Dynasty—1400 years ago. The Yangtze and Yellow Rivers, China’s main waterways, run from west to east. Yang wanted a reliable way to bring rice from southern China to feed his armies, in the north. The result was the Grand Canal, 1100 miles long when it was completed in the early 600s. As if the constraint of having to go where the river was going wasn’t enough, sometimes geology conspired against ships and threw up a waterfall or some rapids. The abundant source of power these offered led to the development of industry and created a need for efficient transportation. Transportation downstream was easy, but what about taking goods upstream, past the rapids? Enter the golden age of canals, during the Industrial Revolution. Today canals serve a number of purposes beyond transportation, including irrigationand hydropower generation. It is quite likely that you benefit somehow from the use of a canal every day, either in the electricity you use, the produce you eat, or the imported goods that may have passed through a canal on their way to you. 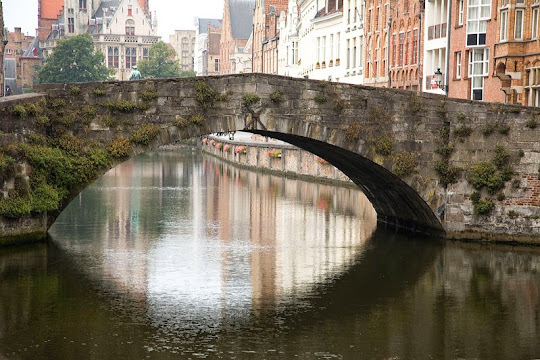 Canals were not designed to support two-way traffic along the whole of their lengths. Many canals experience changes in elevation that necessitate the use of locks, and most locks aren’t designed to accommodate lots of ships at once. An efficient way to monitor and control canal traffic is a necessity. The new traffic control system for the Panama Canal includes 24 cameras that observe ships in the canal and allow controllers to view telemetry and GPS feeds from the ships. Other common elements of canal traffic control include radar and lock automation systems. If you’re interested in shipping traffic, have a look at this website, which lets you zoom in on any part of a map of the Earth to see what ships are in the area. You can click on each icon to see details about the ship such as type, size, year of construction, speed, destination, and recent port calls. Since the completion of the Panama Canal in 1914, the dimensions of its locks have dictated the maximum size of cargo ships. Ships that are built to fit exactly in the Panama Canal locks are called Panamax ships. There are two sets of three locks on each side of Gatun Lake in the Panama Canal; three to lift ships up to the level of the lake and three to take them back down to sea level on the other side. Locks work with a set of pumps, valves, and drains to raise and lower the water level in an enclosure with gates at both ends. A simple animation and video of how the Panama Canal locks work can be seen here. Canal locks have operated in this way throughout history. An expansion of the Panama Canal is currently underway to build two more sets of locks in each direction. Round locks were built where several canals with different water levels came together. This allowed for the barges to rotate in the lock to face the desired gate. A famous example of a round lock is at Agde on the Canal du Midi in France. The lock is no longer round because it was enlarged to fit bigger barges. A short animation of how the lock works, showing its original configuration, can be seen here. An alternative to locks is a boat lift. These can take boats up and down a significant height in a single stage. Two good examples of boat lifts are found in the United Kingdom. The Anderton boat lift is a restored 19th-century boat lift between the Trent & Mersey Canal and the River Weaver. It has two counterbalanced basins that operate on a hydraulic lift system. Originally constructed in 1875 to help move salt from the interior of England to the coast, it was restored in the late 20th century and reopened to pleasure boat traffic in 2002. A video of the boat lift in action can be seen here. This kind of boat lift would be a good model-building project. A modern solution to the problem of waterways at two very different elevations is found in Scotland, at the Falkirk Wheel. This boat lift is remarkable as much for its beautiful design as for its purpose. It opened in 2002 to reconnect the Forth and Clyde Canal with the Union Canal and replaces an earlier flight of locks that was removed in the 1930s. An explanatory video of the wheel in action can be seen here. This boat lift also operates on a counterbalance, but is a much more elegant design than a simple up-and-down lift. You can buy a model-making kit for the Falkirk Wheel from the Scottish Canals online store, for ₤19 (about $32), and they will ship to most countries. 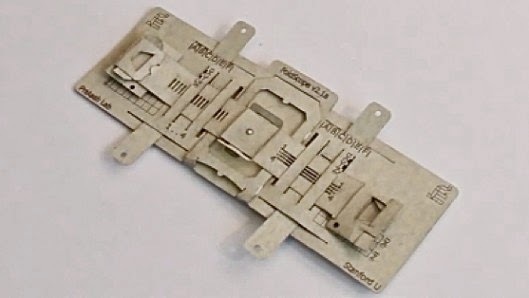 Building scale models is a good math exercise for students who like to work with their hands. A number of practical examples for making scale drawings using ratios and proportions can be found here. Another interesting math exercise for students interested in canals would be to figure out how much the water and the ship in a lock weigh together, and how much work must be done to lift the boat from one level to the next in a lock. A thorough description of these types of calculations for a variety of different types of locks can be found here. Starting next school year, New Jersey public school districts will be called on to teach middle schoolers about responsible use of social media, according to recently passed legislation. Another bill, if signed by Gov. Christie, will require districts to create written policies about electronic communication between students and staff. With both pieces of legislation, the Garden State stands to become more of a part of a conversation - some would say movement - that is gaining momentum nationally. The topic is digital citizenship, a concept that includes responsible use of technology and learning to function in an ever more digital world. Given the 2010 suicide of cyber-bullying victim Tyler Clementi, a Rutgers freshman, and, nationally, several rapes in which photographs of the teenage victims were put on the Internet, sponsors of the education bill say they want to help protect young people from abuse and misuse. In addition to concerns like cyber-bullying, the sponsors want schools to address issues like ethics and cyber safety. For example, programs on appropriate use of social media often teach that anything put up on the Internet can become public and permanent. Students might be told before posting something that they should think about whether they would want a college admissions officer or potential employer to see it. "Every day, we see stories about youngsters facing legal repercussions, humiliation, and, tragically, even suicide, as a result of social media activity," said the sponsor, Assemblyman Angel Fuentes (D., Camden). "Proper education will hopefully help open students' eyes to these consequences so they do not end up as the next unfortunate headline." Last month at Moorestown High School, feelings were hurt when some students used a new app called Yik Yak to anonymously make crude, hurtful posts about fellow students and teachers. The app's designers said they launched it three months ago as a community-building tool for college students. A problem with the Internet is schools and society in general too often end up reacting to the next new thing instead of preparing young people, said Richard Guerry, founder of the nonprofit Institute for Responsible Online and Cell-Phone Communication in Mount Laurel. "We've taken basically the most powerful tool on the planet and given it to people of all ages, and we really didn't give them a guide for using it," Guerry said. Interest in such guidelines seems to be be growing, he said. Since starting his institute in 2009, he said, he has been asked to conduct more than 2,000 "Course to Digital Consciousness" workshops nationwide and in Canada. The rapidly evolving nature of technology has left schools lagging in how to deal with student-staff electronic communication. Assemblywoman Gabriela Mosquera (D., Camden) said the bill she cosponsored, which Christie has not yet signed, seeks to correct that by requiring districts to establish rules for such communication. The policies will left up to individual districts, she said. The New Jersey School Boards Association and the New Jersey Association of School Administrators supported both bills. School boards association spokeswoman Jeanette Rundquist said many districts already addressed social media with formal policies, in staff handbooks, or at orientations, "but interest among districts is definitely increasing." Her organization is working on a revised sample policy on staff use of social networks and other electronic communications, and, she said, "we expect more districts to request it." Use of social media by teachers, however, is still uneven. A recent survey by the University of Phoenix College of Education found many teachers were not using social media in their classes or to engage with students and parents. According to the survey, 47 percent of kindergarten-through-12th-grade teachers and 58 percent of high school teachers believed participating in social media with students would enhance students' educational experience. However, only 17 percent of K-12 teachers said they encouraged their students to connect with them through social media, and only 18 percent used it in classes. Among high school teachers, the participation levels were 21 percent and 19 percent. Brad Campbell, a history teacher at Cinnaminson High School, has embraced social media and technology. He uses the "flipped classroom" mode of teaching. In that, the contents of a usual classroom lecture are viewed at home by students via the Internet - a PowerPoint presentation, video of a lecture, etc. In class, the students work on applying the information through a debate or discussion, or in an essay or project, with their teachers present to help them work through it. Campbell said he and his students made much use of Edmodo, a free app where he posts learning materials, students and parents can ask questions, and youngsters collaborate on projects. "It's especially good with your shier, quiet kids," he said. When his senior elective students learned he was going to Skype their mythology presentations to a class in St. Louis, they arrived dressed like their gods and goddesses - a much more serious effort than ordinarily would have been expected the week before senior trip, he noted. Live-tweeting a class debate on Christopher Columbus was also a hit; it made the class "feel more authentic," he said. Elsewhere in the region, schools or districts have developed their own policies and programs. Antoinette Rath, Mount Laurel's superintendent, said her district had had a written policy on social networking and electronic communities since 2009. Responsible use of social media is discussed in class, an annual cyber safety workshop for parents is popular, and programs like Google Docs are used in classrooms. 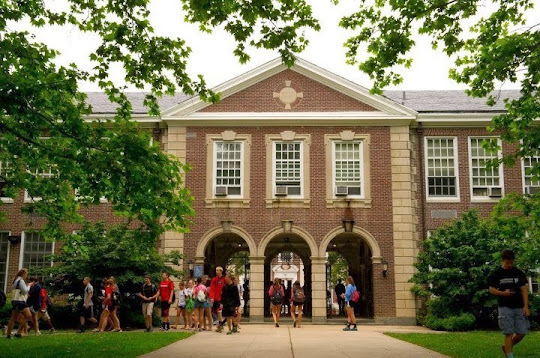 At Haddonfield Middle School starting this school year, sixth graders are required to take digital citizenship, a course that looks at responsible Internet use as well as the positive potential of social media, principal Gino Priolo said. A parent workshop last spring was well attended, he said. Some school officials, though agreeing these issues are worthy of discussion, take exception to yet another mandate flowing out of Trenton. "While we do more to meet new initiatives and mandates, our citizens and taxpayers don't understand why costs go up," said Robert Goldschmidt, Washington Township superintendent. "This is one of the reasons." Scott Oswald, superintendent of Collingswood and Oaklyn, said that if a mandate is added, another should be taken away. "Our primary mission is to teach reading, writing, problem-solving, and citizenship, and every new thing takes away from that," he said. For most of them, it was not an easy choice. 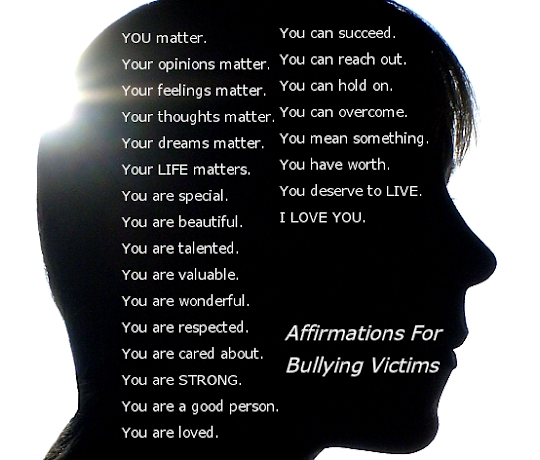 Five Los Angeles teens who had been cyberbullied while in high school decided to read the hurtful comments on camera. 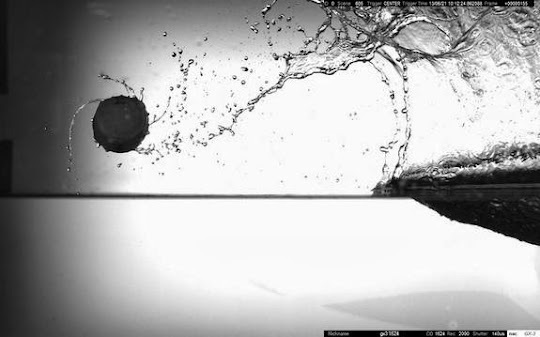 DENVER — A toy ball that skips on water far easier than the best skipping stone is the inspiration for a line of research that's caught the attention of the U.S. Navy. The Waboba (named for its description, the "water bouncing ball") is a tennis ball-sized toy that can't bounce on land, but jumps like a champ in a lake, ocean or swimming pool. Brigham Young University physicist Tadd Truscott first noticed the toy while shopping with his son at a dollar store. The ball worked as advertised, skipping so readily across the water that it sometimes looks like it's rolling. For a physicist, the next natural question is: How? Now, Truscott is funded in part through the U.S. Navy's University Laboratory Initiative to answer that very question. Like many people, Truscott and his son enjoy trying to skip rocks across smooth water. The physics of rock-skipping is fairly easy to explain: You need a flat rock thrown with the perfect rotation. This rotation gives the stone stability, allowing it to hit the water at the correct angle — 20 degrees for the maximum possible skips. The record in the Guinness Book of World Records for most skips was set in 2007 by Pennsylvania man Russell Byars, who skipped a stone a stunning 51 times. Most people can skip a rock just a couple times, Truscott said, and a few can achieve 10 or so. But the Waboba takes much of the skill out of the equation, making it easy to get 30 or 40 bounces without much practice. Truscott compares it to a performance-enhancing drug for skipping. In fact, that cavity made by the ball forms slower than the ball moves, Truscott said, which creates a little water slope, much like a ski jump, that the ball can use on its upward climb. The elasticity of the ball means the thrower doesn't have to worry about the rotation, as they would with the stone. You still have to get the correct speed and angle for a bounce, Truscott said, but even a "really sloppy" throw gets impressive results. Instead of an angle of 20 degrees, the Waboba can hit the water at up to 40 degrees and still bounce, he said. The question of the water-bouncing ball isn't purely academic — or purely fun. In Naval history, there are several examples of projectiles that skip over water rather than traveling through it or above it. For example, in the 1800s, Truscott said, sailors would angle cannonballs to skip over the water rather than lobbing them high through the air. These skipping cannonballs required less precision to make a hit, and tended to bounce up on decks, knocking off enemy sailors and breaking masts. In the 1940s, the British developed the Wallis bouncing bomb, a surface torpedo that could be dropped from a plane and skipped across the surface of a lake to breach dams otherwise protected by underwater torpedo nets. The program was only rarely used but successful, breaching two dams in Germany's Ruhr Valley in 1943. Truscott declined to say precisely what the U.S. Navy hopes to get out of his bouncing ball research, but said the military branch is interested in how elasticity affects motion in the water. Ships, for example, are more elastic than people realize. The project is generally useful for getting an object from one place to another without having all the information you need to calculate the height needed to land it in the right spot, Truscott said. The researchers have now started building their own Woboba-like balls with accelerometers embedded to better study their motion as they skip. So far, they've studied only the first bounce, but they're now beginning to skip the balls in 150-foot-long (45 meter) tanks to see what happens across multiple bounces. Click here to rest from this article's source. Find algebra difficult? Well, think about this: Scientists find that even 5-year-old kids can do it. If not, maybe this will help. Preschoolers can do basic algebra -- and we do mean very basic -- through gut instincts that we share with a lot of other animals, but by the time we get fully involved in the educational process algebra will become a lot more difficult. 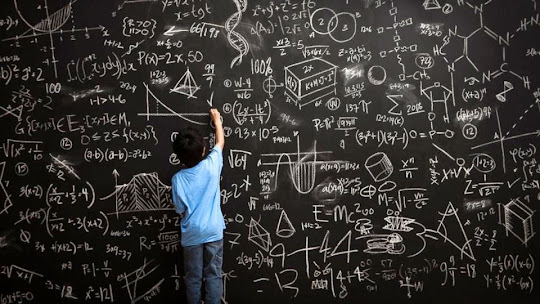 Our natural instincts with numbers will be "replaced by rule-based problem solving," and that can be a lot harder, psychologist Melissa Kibbe of Johns Hopkins University said in a telephone interview. She is the lead author of a study published in the journal Developmental Science. Kibbe and psychologist Lisa Feigenson, director of the Johns Hopkins Laboratory for Child Development, put 136 children, age 4-6, through 136 experiments in a Baltimore science museum to see if the preschoolers could solve a basic algebraic problem -- finding the quantity of "X," an unknown value. The purpose of the experiments was to broaden the understanding of something we are all born with, known as the "approximate number system," but also referred to as "number sense" in the scientific literature. Humans, like many animals, have an inborn ability to determine the number of objects in our immediate environment. That's probably part of our evolutionary history. It would have been convenient to know if the predator confronting a hunter-gather was one wolf, or a pack of wolves. Kibbe said the approximate number system probably makes it possible for us to learn how to count and eventually do math, including algebra and trig and all those other fun things. The first two of five experiments tested the kids' ability to understand symbols, like words or numbers, to solve a simple problem. The children got the right answer 46 percent of the time, which was no better than chance since there were only two choices. So they failed. The three remaining experiments used stuffed animals as symbols and the kids were asked to figure out roughly how many tokens the animals contributed to another pile of tokens. They didn't need to know the number: They just had to figure out if the animal had added a few tokens, or a lot. As in algebra, they were charged with finding an unknown value. "The children nailed it," Feigenson said. "We found that young children are very, very good at this. It appears that they are harnessing their gut level number sense to solve this task." In fact, the kids got it right about three-fourths of the time, so they really understood that if you add 12 tokens to a pile, the pile grows a lot more than if you add four tokens. It's not necessary to know the exact numbers. If the pile is a lot bigger, then x=12; if it's just a little bigger, then x=4. That's number sense. A couple of years ago a Johns Hopkins colleague, Justin Halberda, collected data from more than 10,000 Internet subjects, ages 11 to 85, and found that "number sense" improves during school years, but declines during old age. And, it remains linked to our ability to do math throughout our entire lives. Interestingly, the Kibbe study found no difference in gender or in ages in the ability to "solve for the unknown quantity." That's a little surprising because many studies have shown that boys outperform girls in math after they enter school. Why was gender irrelevant in these experiments? Probably because the researchers used stuffed animals and common tokens, like buttons and coins, instead of words, spoken or written, and algebraic equations. "I think when we put this problem in the form of a game and we don't make it about getting the right answer, the kids know how to play the game," Kibbe said. "When they get into school, that's where you start to see the gender gap. Girls and boys have the same gut level of instincts, but different factors come into play when they are in the school setting." Even though all the kids in these experiments were 4 to 6 years old, a year can be a lot to a preschooler, so it's also a little surprising that the 4-year-olds were just as good at algebra as the 6-year-olds. That suggests "number sense" begins incredibly early, and remains with us for a long, long time. But it's not going to help much with advanced algebra. Join NJSACC for an exciting year of service promoting exciting, hands-on STEM learning in NJ’s afterschool programs! This posting is for a one-year AmeriCorps VISTA year of service. A modest living allowance is provided but this is NOT a permanent, salaried position with NJSACC. More information about AmeriCorps VISTA may be found here. This position is a great opportunity for a recent college graduate or anyone interested in changing careers to gain experience in the nonprofit sector. Those interested in youth development, informal education and STEM education are encouraged to apply. Type: Full-time position. AmeriCorps VISTA members receive a modest living allowance depending on county of residence (about $1,000 per month). NJSACC, the Statewide Network for NJ’s Afterschool Communities, in partnership with the Afterschool Alliance, want all children to have access to STEM (Science, Technology, Engineering and Math) learning opportunities in NJ’s afterschool programs. High quality STEM-based afterschool programs provide the perfect environment to engage youth in STEM related topics without risk of academic failure, improve attitudes towards STEM fields, and increase the likelihood that youth will graduate and pursue a STEM career. Will develop a model for recruiting, training, and matching STEM mentors in the local community with afterschool programs. This position is a year-long assignment beginning in June 2014 and ending June 2015. Applicant must be willing to commit to a one-year assignment. A modest living allowance is provided but this is NOT a permanent, salaried position with NJSACC. More information about AmeriCorps VISTA may be found here! A Bachelor’s degree is required for this position. If you are interested in applying, please email your resume and a cover letter detailing your interest in this position to: stem@njsacc.org. Please direct questions to: stem@njsacc.org -- no phone calls please. Interviews will be conducted via phone or in-person in Westfield. National Women’s History Month Events Continue at the National Girls Collaborative Project! As you all know March is National Women’s History Month and NGCP is going to celebrate women in STEM all month long! This is a strategic opportunity to distribute a special edition of your Collaborative enewsletter. And, if you haven’t launched one – this is a great month to do so! Each week we will be featuring a different STEM field and highlighting women who have made or are currently making a significant impact in that field. We will also be featuring partners that are engaged in this work and encouraging girls to pursue their interests in these STEM disciplines. Here are a few simple ways that you can join in on the activities and help us celebrate! Check out the weekly e-newsletter that will be sent out and share it with others in your network. Like us on Facebook and Like, Share, and re-post our daily posts. Follow us on Twitter and retweet our daily tweets and join the conversation by following the hashtags for each week (this will be shared in the weekly NGCP e-newsletter). If you have any questions about the activities or have ideas for fun ways to celebrate National Women’s History month, contact Kate Goddard at kate@edlabgroup.org. Kate is creating a list of social media accounts for all Collaboratives – please send her links to your twitter, Facebook, YouTube, or any other sorts of social media accounts you use (or plan to use). Taking place on Saturday, March 22, 2014 and for the first time, The College of New Jersey will be hosting the TEAMS (Test of Engineering Aptitude, Mathematics and Science) competition, a one-day, paper and pencil test for students in teams of 4 to 8. Focused on a different theme each year, the TEAMS competition is based on the National Academy of Engineering Grand Challenges. Tackling these challenges requires critical job-readiness skills such as collaboration, analytical thinking, and multidimensional problem-solving. The theme for 2014 is "Engineering Tomorrow's Cities - Improving Urban Infrastructure." Students will address engineering challenges in areas such as transportation, green space and fresh water supply. The competition will begin at 10:00am on Saturday, March 22, 2014 at TCNJ. All New Jersey middle and high schools are eligible to participate (you do not need to be affiliated with TSA). Schools may bring up to five teams to compete (each team must consist of 4 to 8 students). Each team is required to attend with a Coach (this may be a teacher, parent or other volunteer) and a Coach can oversee multiple teams. Once your registration has been submitted, you will receive access to online resources including a Coach's Guide, sample test scenarios, lesson plans and more. I hope you will be able to take advantage of this great opportunity. Should you have any questions or concerns, please do not hesitate to contact me by phone or email.